Wouldn't the "little red haired girl" be a better fit as Black Widow, since she has the red hair? And what about Violet, Frieda and Shermy? 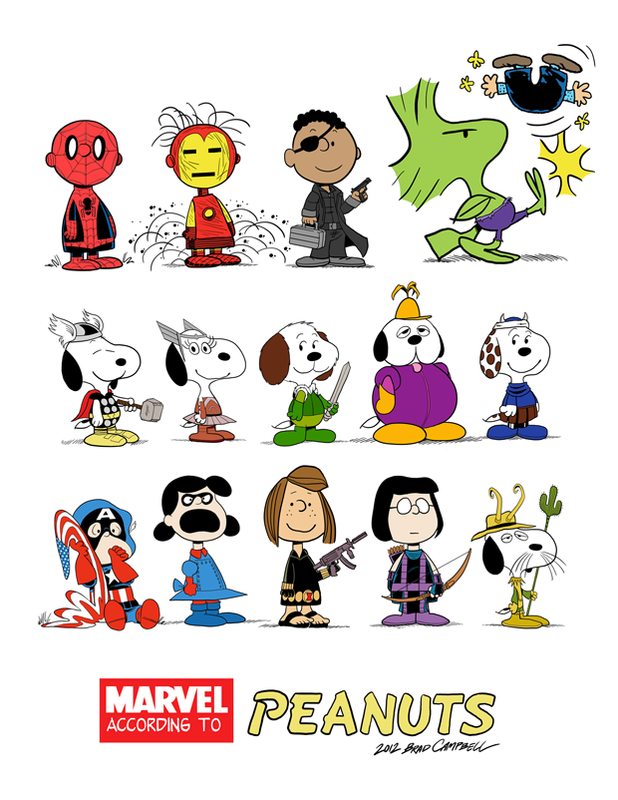 I tried not to get hung up on matching hair colors when I was pairing up the Peanuts/Marvel characters. I was more concerned about matching the characteristics and personalities. When I decided to cast Marcie as Hawkeye (because wears glasses, get it? ), I felt that it was only natural to cast PP as Black Widow (since Black Widow and Hawkeye have a history together). 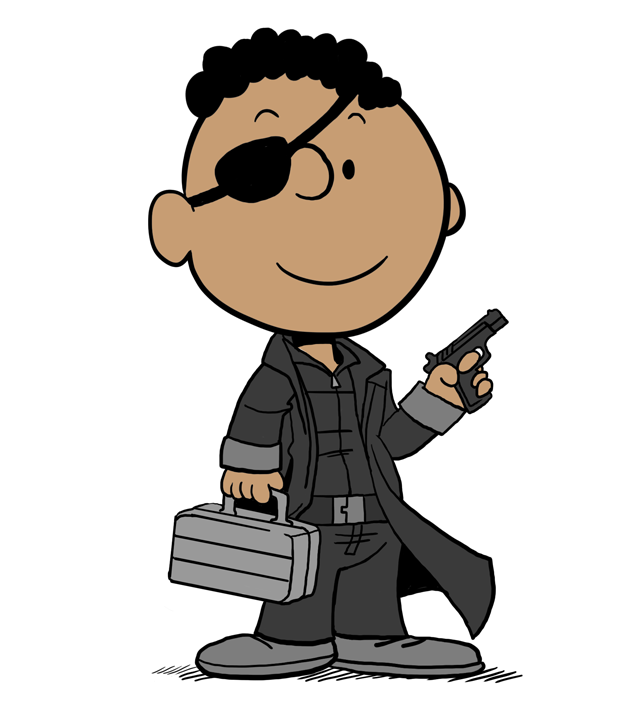 There were a lot more Peanuts characters I could have picked, but I chose to stop while I was ahead. I didn't want to run the concept into the ground. Ironicly, on the back of an early Spiderman paperback, a critic was quoted: "If Charlie Brown put on a costume and fought crime, he'd be Spider-Man."